The management of Abia Warriors Football Club says the players were let go because of their low productivity. Former Nigeria Junior International, Stanley Okoro who is fondly referred to as ‘Little Messi’ as well as seven other players have been sent packing from Nigeria Professional Football League side, Abia Warriors. 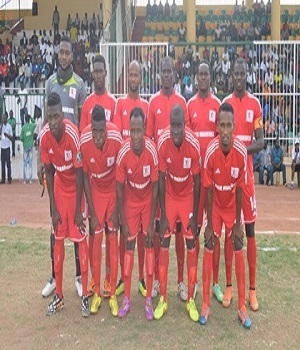 The management of Abia Warriors Football Club of Umuahia through a press statement explained that they approved the release of eight of their registered players because of their poor performance in training and during matches. Aside Okoro, the players released include Super Eagles midfielder, Paul Onobi and who has failed to impress the technical crew. Others are former Enyimba player, Michael Okoyoh, former Nigeria U-23 winner, Seun Olulayo and his former Sunshine Stars of Akure team mate, Dele Olorundare. Meanwhile, the club has intensified its eagerness to register some fresh legs in readiness for the second phase of the league. Some of the new faces expected to join the Umuahia side include former Enyimba and Rangers International winger, Chimezie Amanfor, former Heartland of Owerri midfielder, Arinze Nwangwu and ex-Giwa FC of Jos’ Chinenye Agoha.